In her Eurovision 2019 song “Chameleon”, Malta’s Michela Pace shows as many colours as her eponymous lizard. From reggaeton to pop with an electric flourish, she’s able to shift shapes and flow between genres. And now all that movement is having an impact on the Eurovision 2019 bettings odds. When we last checked in on March 8, Malta was listed way down as 21st favourite with odds to win as high as 50/1. But by March 16 the bookies had slashed their odds to as low as 20/1, helping Michela leapfrog past Norway, Portugal and Greece. She’s now listed as the eighth favourite to win it all. It’s an impressive jump that signals confidence in Malta’s song and performer. There’s apparently a growing sense among betmakers that the X Factor Malta winner will be able to draw on the high-impact visuals of her music video to create magic live on stage. She certainly won us over on first viewing. Eurovision 2019 betting odds: Who will win the grand final? It’s all steady at the top — The Netherlands, Russia, Sweden, Switzerland, Italy, Cyprus and Iceland still hold the Top 7 spots, as they’ve done for weeks. Malta’s rise is the biggest shift in the Top 10. But we should point out that three countries — Greece, Portugal and Norway — remain hot on her heals. Various betting agencies have Malta and these three countries in a close race with similar, albeit varying, odds. Bet365 have Malta and Portugal out front at 25/1 and put Norway well behind at 33/1. PaddyPower, on the hand, have Greece as the leader in the group at 20/1, with Portugal following at 22/1. Malta and Norway are then level with France at 25/1. Can Slovenia keep rising in the odds? Slovenia has also had a good week, moving from 18th favourite to 13th favourite as the bookies have slashed their odds from 50/1 to 40/1. The studio cut of Zala Kralj & Gasper Santl’s “Sebi” has an ambient, almost sleepy quality. But on stage at EMA it transformed into something ethereal and mystical as the duo sang to each other in a luminous world all their own. Vocally sound and unlike anything else in the competition, could this duo be one to watch as we head to Tel Aviv? Slovenia is currently ranked well ahead of Big 5 nations Spain, the UK and Germany, who sit at 20, 21 and 24 in the oddstable respectively. Italy remains the only Automatic Qualifier in the Top 10. France’s Bilal Hassani is close behind in 12th. Malta have one of the best songs . Sweden is probably that high because the bookmakers know the jury is going to overrate them, as they do EVERY. SINGLE. YEAR. this time for Malta . Portugal should win eurovision 2019. Most original and different and graet song. I hope this year wins a small country which never won before, i.e. Cyprus, Iceland, Malta, Slovenia or North Macedonia. Sweden as usual totally overrated. And why on earth is Italy under Switzerland? I don’t understand Russia and Sweden being 2nd and 3rd even if it’s just the odds. Scream is so overhyped just because it’s by Sergey Lazarev, the song is not that great, trying too hard to be epic it’s becoming cringey instead. And Sweden? It’s not even current to begin with, and too generic and formulaic. I don’t mind generic or mainstream songs in Eurovision but what’s good about songs like Switzerland, Malta, etc are that at least they are really in trend with the current popular genre. I swear something is wrong with “Arcade’ too. It was 3,1M before i went to sleep last night and now this morning was down 3M. Going 3,1M just again a few minutes ago. I agree with you Klaus, this song is magical, i really hope the Live performance will blow everybody away with the result that Austria will qualify. I agree – i admit wasn’t too impressed when I listened to it at first but the more I listen to it the more I am convinced that with a well polished live performance this has even top 10 potential. Chameleon is fresh and once you hear it it sticks to your head for the rest of the day.. gives you the vibe of energy,. While it is full of colour it is also relaxing just like the island in the summer season.. LOVE LOVE LOVE IT!! Well done Michela.. The odds are meaningless. Remember last year they dramatically changed after rehearsals (moving Cyrprus way up) and even then they were wrong on most of the top 10. How is North-Macedonia so high? It’s about time Malta got some credit for their continuous hard work in the contest, being one of the smallest countries and one of the most participated countries without a win. I’ve read a local Maltese article were it said that they are working hard on their performance, (so yes fingers cross) and I’m pretty sure Michela will deliver big time! Thank god they gave her a current song which shows her age instead of a boring ballad. I’m sorry, but Michela’s song is quite cheap. I can’t see it doing well with the juri or the televoting. After eurovision in concert preparty in april I wouldn’t be surprised to see Malta entering the bettings odds top 5/ top 4 when we will hear Michela’s amazing live vocals on this song. How is Malta’s post chorus drop similar to Fuego? Please explain. And by the way I think songs like Fuego and Replay are a bit dated. In 2040 we will still hear people compare every uptempo song to Fuego. Fuego didn’t invent upbeat bangers, stop comparing every one of them to Fuego! Malta is overrated. Malta with Sweden,The Netherlands,Belgium,Israel,Australia will be juries favorites in semi and final, but I dont see Malta in top 10 in semi,and top 15 with televote in final.With huge help from juries, they will go to final, in final simillar result like in 2013. RTE want good result, stage director for Miki will be Fokas Evangelinos. Watch wtf jurors now not placing amazing Michela on their top 5 when last year as you said they did. So? Italy and Russia are always the tele voters favourite and always get top 10 because of that. Is that much better? Or lets talk about the televoting in 2015-2016.. And how unappreciated Malta was. The juries gave malta the right amount of points that year no? Or are you just hating on every Maltese entry? Or you just point out what suits ur argument better? Am I the only one wondering where the Semi- Final odds are? The bookmakers normally start betting on those when all the songs are out. TBH Macedonia and Slovenia are the best from Yugoslavia almost every year. Serbia is TO FAR DOWN :(. Albania to :(. Croatia and Montenegro im not so suprised over. I honestly don’t mind if Malta wins, I think it is possibly the best Maltese entry since Angel, but if they win after israel,watch everyone choosing singer through a talent show and then outsourcing the song next year. To be fair, we already have that. A lot of outsourcing songs and a lot of former talent show participants and choosing the participant through a talent show. Some countries have been doing that for years with mixed results. Too many off the top of my head starting with 2016 that I can remember of. There’s nothing ground breaking about choosing the winner (or just an entrant) of a talent show. And outsourcing does not guarantee success at all. A former alum, not even winner, won for Portugal in 2017, with an in-house song that actually won a national selection. I seriously don’t get the hype over Slovenia. Nobody cared about the song prior to EMA and then all of a sudden, once it won EMA, everybody was loving it. I guess the live performance was what swayed people but I’m still not convinced. Well, the whole song was not available prior to EMA. I agree. Slovenia had other entries that were miles better. Sebi is really average and what annoys me the most is that it really has a potential to be an outstanding song, but they didn’t exploit it properly. I was hoping for a revamp honestly, but the song has stayed the same… it’s such a shame, Slovenia could have done better. Maybe they don’t want to. People take polls to literal. It’s not statistics, its probability. If a song is top 10 it doesn’t mean it will be top 10, just that it probably will do well. Nor are polls ranking, its not saying Netherlands will win and Russia be second. Just that they have big chance to win. But that doesnt mean they will win. Small countries for the win. Show them who’s boss, Malta and Slovenia. This year, it seems that most of countries want to perform well. And except for Montenegro and Moldava, even San Marino seems to be a dark horse for some people. So, I think that only rehearsals will give a better insight on songs rating. 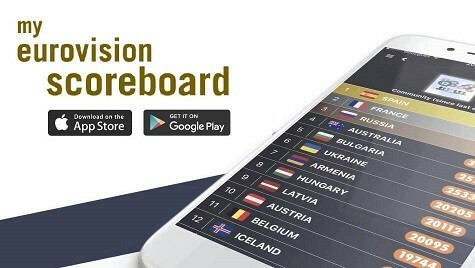 Portugal only 10th by being the second most bet country ? I don’t really understand how betting odds operate but it’s strange. Or is it smart people who genuinely believe that Portugal is underrated and then can grab a lot of money if it wins ? I still don’t get how France is so high in the betting odds! It’s actually a good song. Not a winner, sure, but still good. This one, obviously. My opinion, remember. I’m not a fan of his song, but I can see why the betting odds still believe in Bilal’s chances. He’s an interesting character that has passionate fans and harsh detractors, which mean that many people will pay attention to his presence. His distinctive looks and personal background will also raise a lot of curiosity from part of the audience. Also, it’s not like they’re putting an exagerate amount of faith in his success, it’s like just 2% chances only. It’s a risky bet. They’re just worried that he pulls a Conchita. I don’t know why, but I have a feeling, that Latvia’s gonna qualify to the final, and Germany end up on the left side of the scoreboard. I feel like Armenia could be a SHOCKING NQ. At first I thought that spot was meant for Norway, but it’s qualifying. I hope Latvia makes it through and I think it could, but I want Srbuk to be in the final as well, so I hope for someone else to be the shocking NQ. No chance. shocking winner could be Slovenia,Portugal. Azerbaijan and Armenia could be a shocking NQ. Not because they had bad songs, some of their allocators are in the other semi. They still have Russia, Albania, Moldova, and Sweden in SF2, but Cyprus, Greece, Czech Republic, Georgia, and Hungary is on SF1. Sweden didn’t give its points regularly to these countries, too. This year you can’t really tell who’s going to win because all songs are kinda equality bland. Like none of them really stands out like previous years. I would say that Portugal or Sweden might win, but… we’ll see. My personal favorite is Israel. And Sweden stands out? I would understand Portugal, but c’mon.. But Sweden always stands out for juries even when they send a poor singer like last year. even if sweden sends someone f*ting on stage for 3 minutes it will come on the left hand side of the scoreboard…. Do you honestly believe that? No. We send solid entries. With rememberable performances, that is Sweden’s strength when others fail to do so. The transission from Melodifestivalen to the Eurovision stage runs pretty smoothly and people know what Sweden is capable of. Last year the song was not good enough. But this year there is more heart to the song and a more simple but effective staging. And John is amazing. Period. What are the bookies doing. Armenia should be now 2nd if not number 1 lol. I agree that Walking Out is an amazing song, but realistically it ain’t happening. Sorry, but Russia 2nd, Sweden 3rd? I mean, yes it’s Sergey Lazarev, but that doesn’t mean that the song is that good to be 2nd. The same counts for Sweden. It’s a nice song, but it would not bother me if they do not reach the TOP 10 this year. I think there much more entries that deserve their spot. If you look at wthat results the odds have predicted the last years it’s just a very inaccurate indicator, just mentioning it predicted Ireland nr 4 and Cyprus nr 1 last year BUT: I would be very glad if ESC-losing Malta managed a great result this year!! Oh em gee: I’ve seen a Eurovision reaction video and guess what was the add right at the start: Malta’s official Eurovision 2019 video. I am shocked! You watch an eurovision related video you get an eurovision related add. Some other record labels choose to monetize the video for having their content. Maybe Malta choose to promote their song that will be used on the video you will watch. I’ve been watching Eurovision-related videos since 2017 but never seen any country promoting their song as an add on a reaction video. It wasn’t on a monetized record label since it’s the broadcaster that participates, not the record label. I was talking about a reaction video made by a fan of the contest. The only add I had seen before was that of sponsor and only this year. Hmmm interesting. This could be a technical fault with YouTube’s ad generator. Last year, Latvia had their song as an ad on some videos. Malta <3 Thank you, guys ! I THINK that Switzerland’s odds will increase since they confirmed that SJB is their Creative Director (source: wiwibloggs IG). Another personal opinion in the hope that my comments will not be affected by the filter or such, is that Switzerland are applying the same successful formula of other countries in what regards style of the song, production and creative team which is obvious since last Eurovision. Malta and Slovenia both deserve to be in top 10 this year! and Sweden and Switzerland can’t win, they are too generic. But they do deserve to be in the top 10. And Belgium and Austria are the most underrated in the odds. At this stage they can win. There is no such thing as can’t win because of this and this. ESC has thought us that. Sounding generic has never been a problem to win. Most ESC songs are generic, the familiriaty is why people vote for them. True, I see them doing well, but not winning with Italy, the Netherlands, Slovenia, Iceland and Portugal in the game.